Product prices and availability are accurate as of 2017-10-05 02:42:41 EDT and are subject to change. Any price and availability information displayed on http://www.amazon.com/ at the time of purchase will apply to the purchase of this product. With its rustic Americana look and deluxe granite countertop, the Home Styles Americana Granite Kitchen Island - Oak & White is just right in your home. 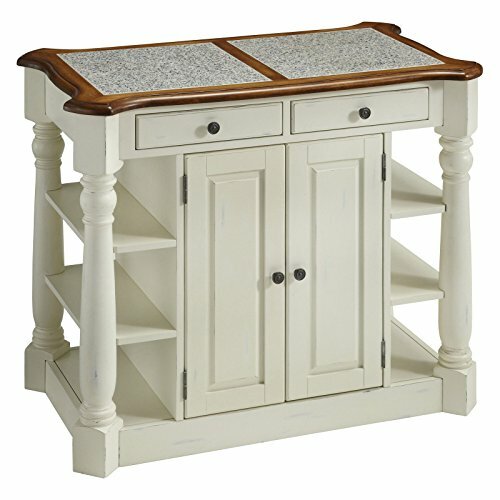 A well-crafted kitchen island, this one is made of hardwood solids and engineered wood with an antiqued white finish accented by a distressed oak top and inset granite slab. Turned and canted column legs and aged brass hardware add style. 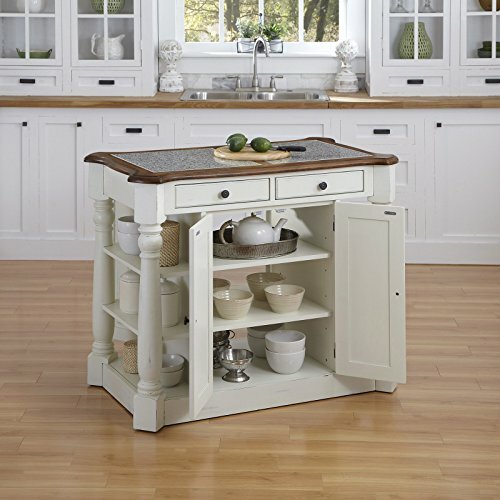 Storage lives within the four cabinet doors, two push-through drawers, and four shelves (two adjustable). About Home Styles Home Styles is a manufacturer and distributor of RTA (ready to assemble) furniture perfectly suited to today's lifestyles. Blending attractive design with modern functionality, their furniture collections span many styles from timeless traditional to cutting-edge contemporary. 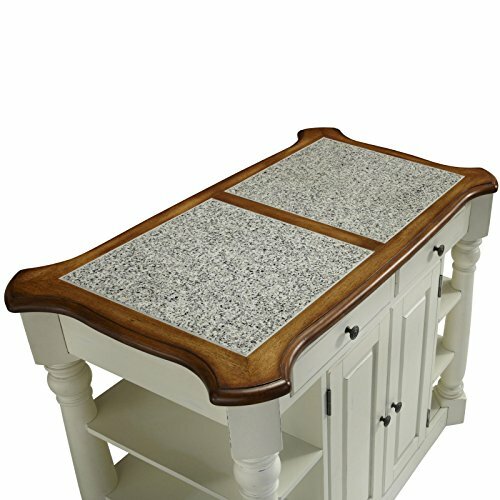 The great difference between Home Styles and many other RTA furniture manufacturers is that Home Styles pieces feature hardwood construction and quality hardware that stand up to years of use. 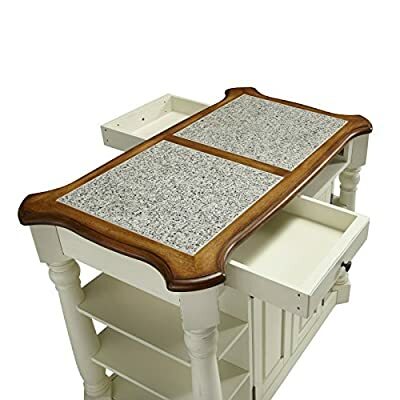 When shopping for convenient, durable items for the home, look to Home Styles. You'll appreciate the value. 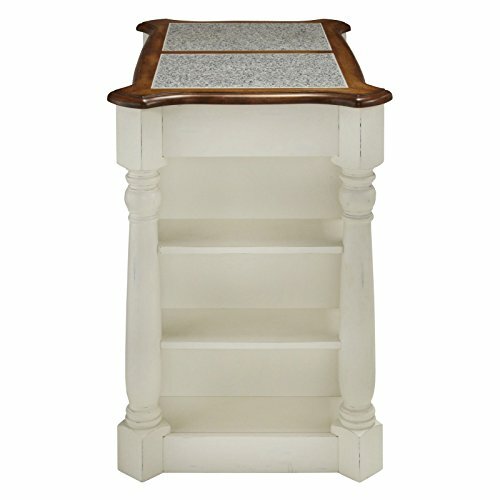 Crafted of hardwood solids and engineered wood. 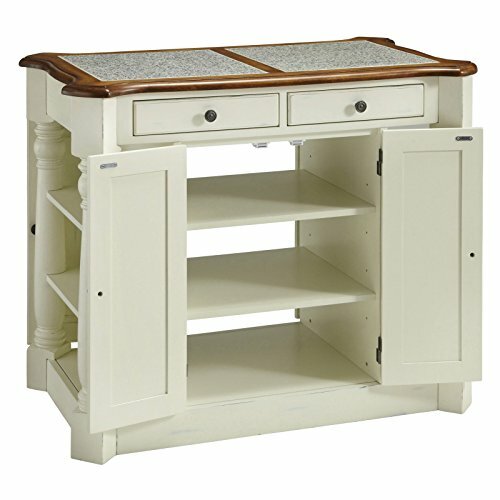 Antiqued white finish with distressed oak finish on top. Inset granite top, turned columns, aged brass hardware. 2 drawers, 4 cabinet doors, and adjustable shelves. Dimensions: 44.75W x 26.75D x 36H inches.